Home is where the East Cliff is. Quiet, with trees lining the streets, this established suburb is near schools and the centre of town. Sought after area and a wide spectrum of sport facilities, including a spectacular golf course, is available. Magnificent mountain views. You will be fortunate to buy a house here, since they are seldom for sale! Has fair amount of holiday homes. Marine tidal pool or Bientang se Baaigat provides safe swimming and fascinating snorkelling opportunities. 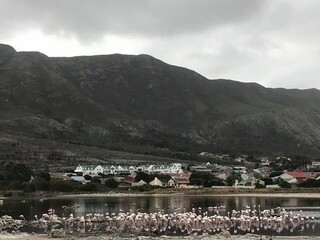 Fisherhaven is a popular birdwatching and holiday destination. Over 120 bird species can be found in the surrounding area. Many water sports can be done on the lagoon including waterski, powerboating, wakeboarding, kiteboarding, windsurfing, kayaking, sailing and fishing.A herd of wild horses are known to roam free in the marshlands, next to the Rooisand Nature Reserve. 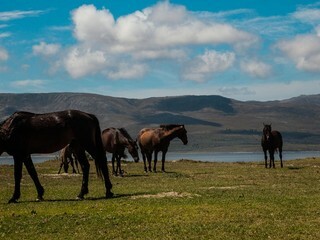 They are believed to be South Africa''s only herd of wild horses in a wetland habitat. Leopard Rock is a controlled access, gated ,private nature reserve just off Chanteclair perched on the Onrus mountains. Utilize the surroundings consisting of the dazzling sea views and enchanting pathways of the private nature reserve practically on your doorstep. Apart from the incredible natural beauty, the close by Hemel-en-Aarde Valley is synonymous with some of the country’s best wines, its close proximity to Cape Town and of course the magnificent whales of Hermanus.